Simple monthly plans to suit your budget, starting at $49/ month. Jump in and start building your course. No contracts. Cancel anytime. 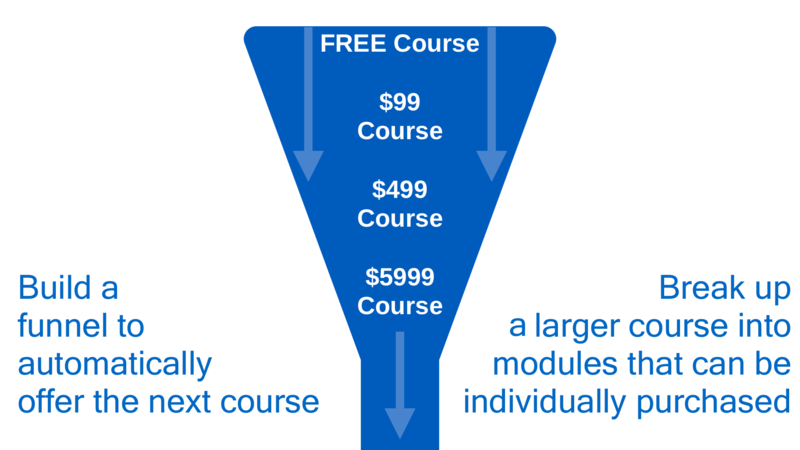 We help you build your online course and marketing funnels. Everything from filming, editing, web design and course building. With Concierge you pay for what you can’t or don’t want to do. We share the workload and the revenue. 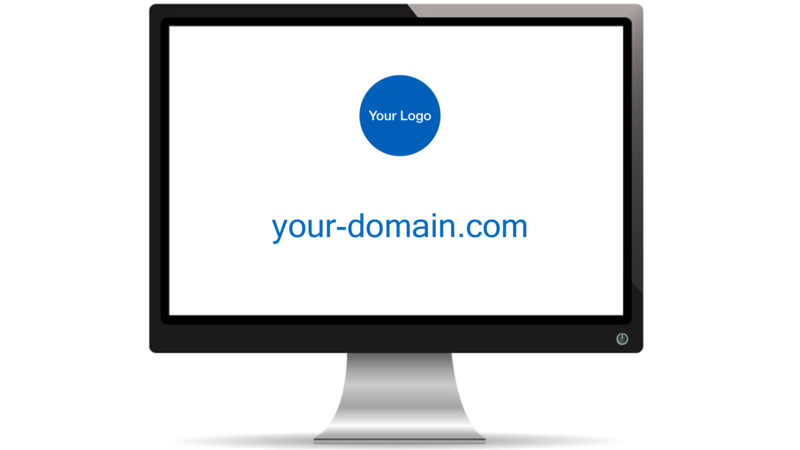 Ideal if you want us to take care of the IT & Web Design while you focus on promotion and selling. There are 4 elements to a course. Each serves a specific purpose to ensure a unique learning experience. It's why courses on enlight have a completion rate 15 times greater than the industry average. These steps are all about teaching the student something. You can write a document, have them download a file, watch a video, read a PDF or even link to an external website. 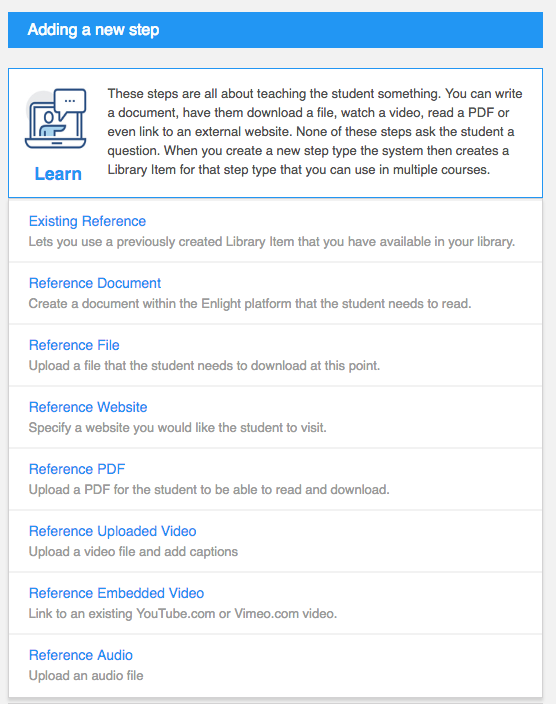 There are 8 methods of sharing your knowledge with all files stored securely on enlight. Understanding is the hallmark of learning. The only reason to study is to understand something so it can be applied. With Enlight you can choose from 7 different ways to test a student’s understanding and ability to apply the information they learn. This unique feature provides a truly special learning experience not available on any other platform. Another powerful feature unique to enlight is the Review steps. 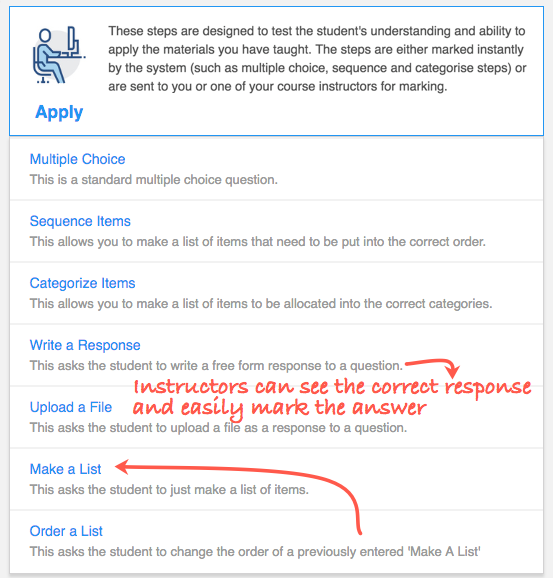 These steps are designed to allow the student to take notes and self rate themselves as well as being able to see what their answers are for various parts of the course. 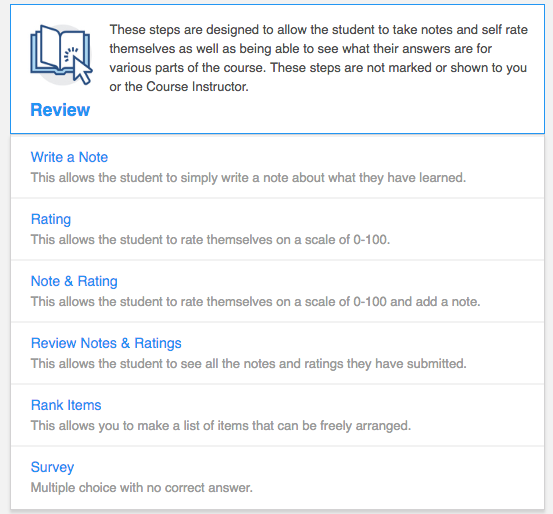 You can choose from 6 different methods of Review, each providing valuable insight for both you and the student. 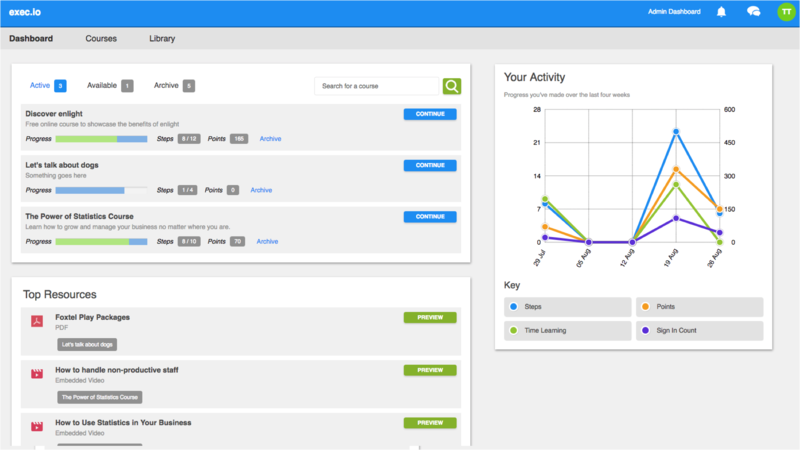 Allows you to control the flow of the student through a course. 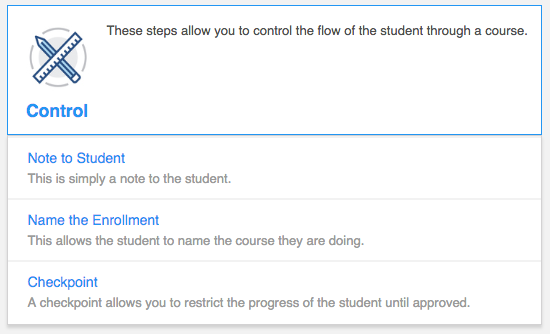 For example, you can restrict a student’s progress until a certain step is passed. Anyone can put a video online and call it a "course." But if you truly want to share your knowledge and ensure your students and team are learning and able to apply the information, then the Instructor and Student Chat feature are a must. The Instructor's role is to help students through their courses. An Instructor has full access to the Student Chat and can mark assignments. If a student runs into difficulty, can't progress through the course or is confused in any way, they can easily chat directly with an Instructor, via the Student Chat. 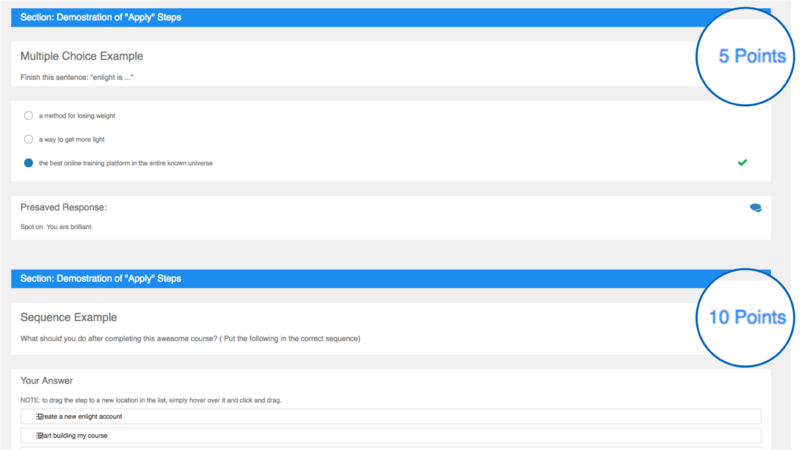 The chat feature is available throughout the course. And if the student happens to be away, enlight will send them an email for any missed chat messages. 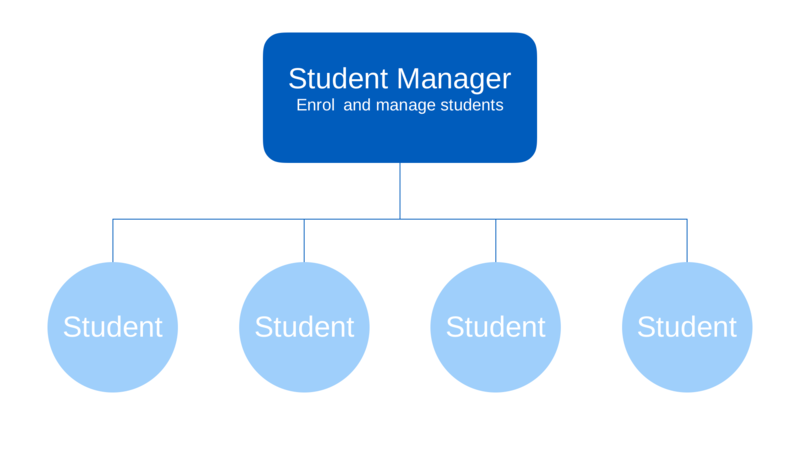 A Student Manager can enrol and manage students. Student Managers are not instructors and have no access to the admin section of your course. The Student Manager Role is ideal when selling multiple course access to a single client. For example, let's say you have a Sales Training Program. You grant Student Manager access to your client and they administer the enrolment of their own sales team. Some steps on a course can be difficult and time consuming, other steps are easy. To monitor student progress, enlight provides a Student Point system. Each step of a course can be assigned a different point value. Instructors and students can track their progress by the total Student Points accumulated during a course. The student has easy access to all resources via the Student Dashboard. The Library allows students to easily find resources, such as videos and downloads that are part of a course. 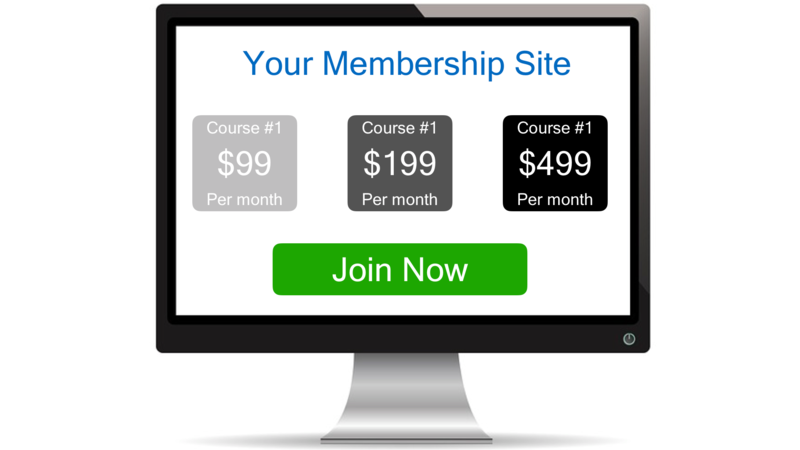 Build recurring revenue with a Student Membership. All courses created on the enlight system can be sold individually as well as bundled together for a monthly subscription. Looking for an all-in-one solution for a Membership Site? enlight can do it all. Build it and they will come ... as long as you have a killer website, seamless payment processing, an engaging marketing funnel and professional branding. With enlight you can do it all. You can build your entire website on enlight, with Pages. Pages has an easy to use editor, and for the more advanced users or web designers, you have access to HTML and CSS. Enlight integrates with your Stripe account, so students can enrol seamlessly and securely. No waiting for payments either. Payments land directly in your stripe account, instantly. Create unlimited Promo Codes to track marketing campaigns, encourage upsells, re-engagement and referrals. 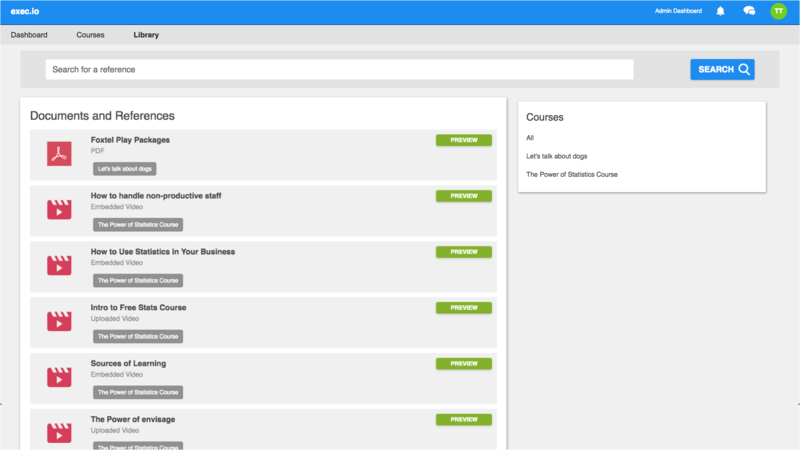 The Student Dashboard and courses are branded with your logo. Enlight was built with funnels in mind. 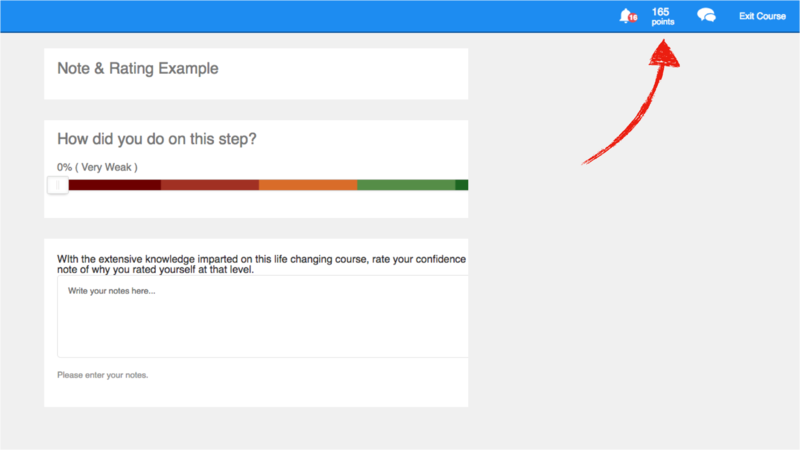 When a student completes a course you can automatically offer the next course. Build your entire marketing funnel starting with a free course, then offer a $99 course, then a $499 and more. If you combine training with other products and services, use enlight to encourage the sales process from one purchase to the next. Enlight provides 5 different levels of User Access to accomodate all businesses, big and small. Access to all functions within the platform. Access to Student Chat and can mark assignments. 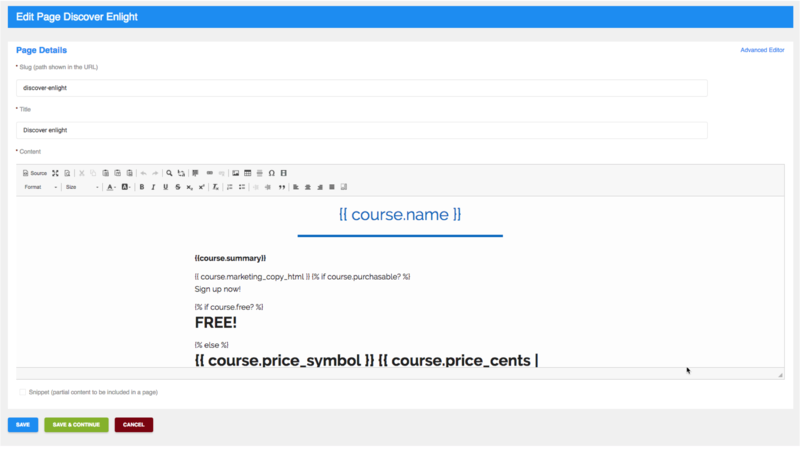 Can create courses, add team members, instruct students, and all functions in the platform. Access to edit Pages and course marketing. 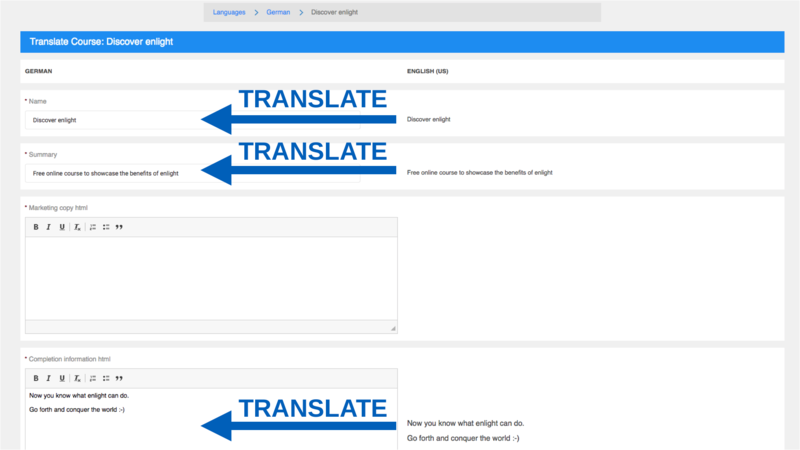 Access to the translations menu to translate your content into other languages. With enlight you're unrestricted. Anyone with an internet connection can enrol on your courses, at any time, no matter where they are. And we take it one step further.